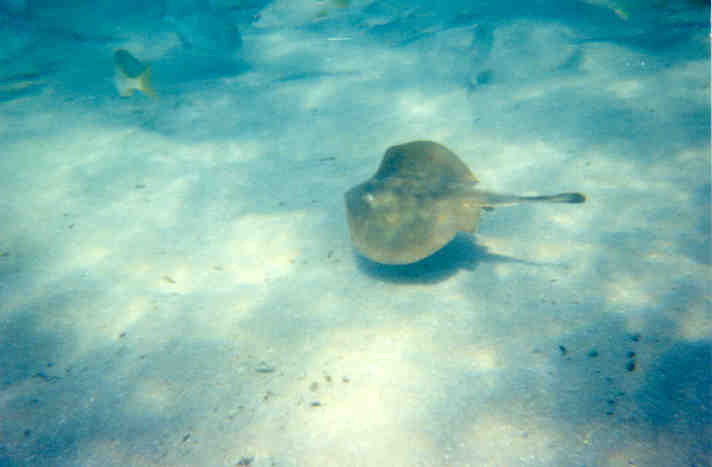 Stingray - Depending on the time of year you go you can see hundreds of young stingray. Octopus - The only octopus I have been have been very small. Sgt. Majors - These fish can be found in extremely large schools. Reef Shark - While in Des Emboque I did come across a reef shark that was about a foot and a half long. All the pictures on this page were taken with a disposable under water camera from Kodak. 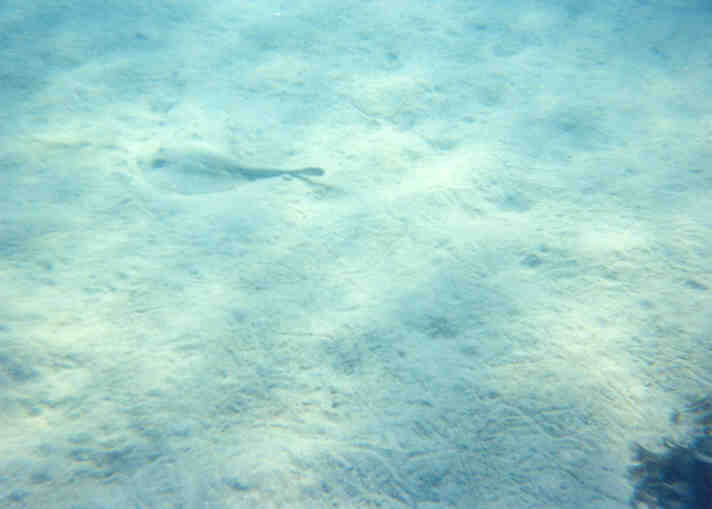 Sting Ray hiding in sand. 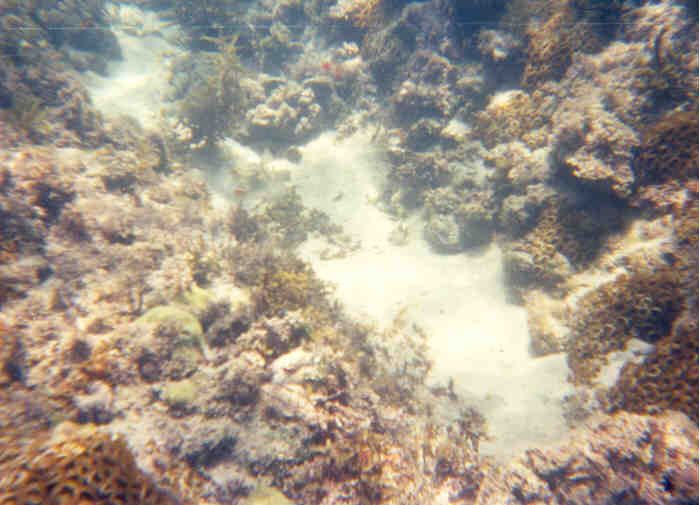 Can you see the Puffer Fish in this picture? Swimming with a Sting Ray.